Sometimes you’ll want to watch your potassium level to make sure it doesn’t climb too high. 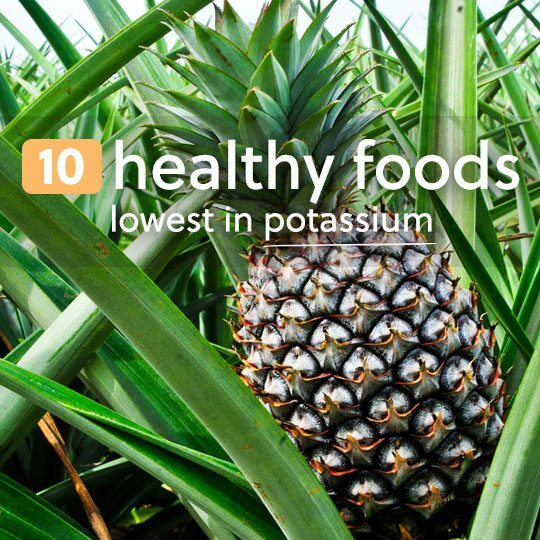 These foods low in potassium will still provide fantastic health benefits that will keep you feeling great. Many of them are superfoods that just happen to be low in potassium, but high in other nutrients to support a vibrant lifestyle. At just 2% of your recommended daily value of potassium, blueberries are one of the healthiest foods you can eat that won’t skew your potassium numbers. Blueberries are packed with antioxidants, especially if you seek out wild blueberries. They also contain plenty of fiber, so they’re going to help your digestive system and assist any weight loss efforts. 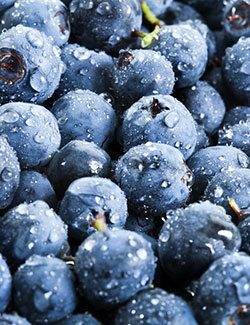 Tips for eating more: Blueberries make a great addition to smoothies, pancakes, waffles, and fruit salads, as well as just being fun to eat by themselves. Try adding just a touch of raw organic honey to each one to accentuate their natural sweetness and get some digestive enzymes at the same time. Cranberries have a lot to offer, but potassium isn’t one of them. While it does contain some potassium, it doesn’t nearly put a dent in your 3.5 daily requirement. There’s still a good serving of Vitamin C and an even better serving of fiber. In a 100 gram serving of potassium you’ll only be getting 2% of the potassium you need, but you’ll be getting nearly a fifth of the fiber needed throughout the day. You’ll also get over a fifth of your Vitamin C requirement. Cranberries are also an effective treatment for yeast infections, as well as cranberry juice. 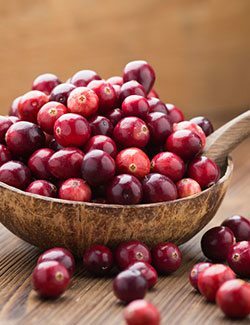 Tips for eating more: Cranberries have a tart taste that can be a bit overwhelming, and tend to overpower a dish unless it’s combined with equally powerful flavors. You can try adding them into a smoothie, or using them to dress a salad. Try cranberry sauce outside of the holiday season, as it still tastes good with other main dishes besides turkey. You can still get your apple a day even if you’re trying to cut back on potassium. That’s because apples are a good source of vitamins and minerals, just not potassium. They’re also a great source of fiber, specifically pectin which will assist your digestive system and keep things moving. 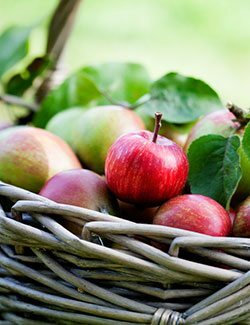 Apples only provide 3% of your potassium requirement in a 100 gram serving. If you eat an entire apple you’re getting almost double that, so about 5% of your potassium. At the same time you’re getting almond 20% of your fiber, and 14% of your Vitamin C.
Tips for eating more: Making sure to eat an apple each day is more than just a tired cliche, it’s recommended and backed by scientific findings that show apples help the body in a number of ways. Try them raw, bake them up, or use them as the foundation for a dessert, just be sure to go organic. Pineapple should make your list of fruits to eat that don’t contain much potassium. It contains nearly as much Vitamin C as an orange, while providing 5% of your fiber in a 100 gram serving. The sweet-sour flavor of pineapple makes it a favorite in all sorts of recipes, and at the same time it will be providing important vitamins like Vitamin B6 and Vitamin C, and fiber that will help keep your digestive system going strong. 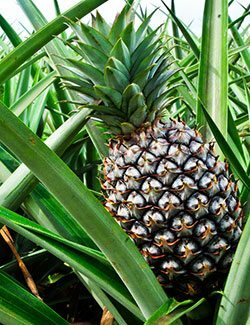 Tips for eating more: Pineapples add a tropical flair to a smoothie as well as other dishes and main entrees. For the best results you’ll want to use fresh pineapple rather than the canned variety. Frozen pineapple is also suitable and still has many of the vitamins intact. Watermelon is a summertime treat known for its delicious flavor. It’s also a good source of antioxidants but is low on the potassium scale. You’d have to eat quite a bit of watermelon in order to come close to the amount of potassium found in fruits with the highest potassium. Watermelon is a decent source of both Vitamin A and Vitamin C, both of which help to support the immune system. It’s also rich in lycopene, the same substance that gives tomatoes so much attention, a powerful antioxidant linked to anti-cancer properties and heart health. Tips for eating more: Watermelon can be found year round, thanks to our advanced level of agriculture and distribution. 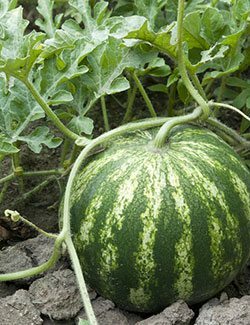 But it’s best enjoyed in the summer, and works well in a fruit salad, or even a melon salad combined with honeydew and cantaloupe, although these two melons are not very low in potassium. Pears are a nutritious fruit that isn’t very big in the potassium department. This makes it an excellent choice for those looking to eat healthy while avoiding excessive potassium intake. Pears are a great source of fiber, and because of the granular texture of pears you’re getting a fiber that helps to keep your digestive tract clean. They have a similar offering to apples in terms of Vitamin C and fiber, so they’re definitely worth incorporating into your regular diet if you’re looking to max out your nutrition while minimizing your potassium. 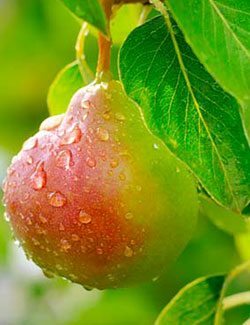 Tips for eating more: Pears make a nice break from your daily apple, and they contribute much the same way to your overall health. Consider mixing it up when you’re at the grocery store and switch between apples and pears as your daily fruit serving. Lemons are not a very strong source of potassium, but they’ll help you lead a healthier lifestyle due to the vitamins they contain. 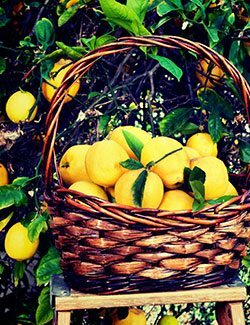 Even though lemons are acidic tasting, they have an alkalizing effect on the body when consumed. This can help keep your body in an alkaline state to avoid inflammation and conditions caused by an acidic state. Tips for eating more: Adding lemon to your water is the easiest way to get your Vitamin C and help alkalize the body. You can also squeeze lemon juice over a wide variety of entrees, improving the flavor and boosting the nutrition at the same time. Consider starting your day with a glass of hot water with the juice of half a lemon squeezed into it. Here’s a tasty fruit that won’t send your potassium levels soaring. Strawberries provide vitamins and fiber, as well as antioxidants to help your body fight free radical damage. 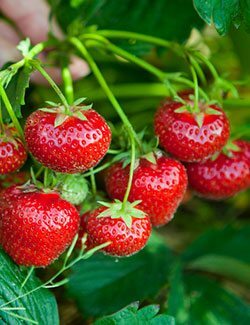 The best part of strawberries is perhaps their taste, and this is one low potassium food that you wont’ mind eating more of. With each bite you’ll be getting more Vitamin C and fiber, helping both your immune system and metabolism by improving your digestive system. Tips for eating more: Strawberries make a great addition to a smoothie, and are often used as the base for a fruit smoothie. 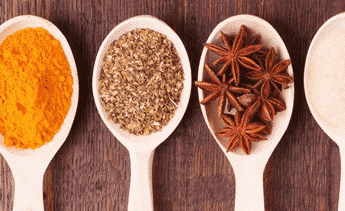 You can also try adding them to a summer gazpacho to sweeten it up, or combine them with other low potassium berries in a berry salad with blueberries and blackberries. Plums are not a very strong source of potassium, but provide your body with Vitamin A, Vitamin C, and fiber. Unlike their dried counterparts, prunes, plums are comparatively low in sugar with just 10 grams in a 100 gram serving for plums and 38 grams for prunes. Interestingly enough, prunes rank on our list of fruits highest in potassium. The drying process concentrates the potassium plums contain, taking them from a low potassium fruit to a high potassium fruit. Eat plums for fiber and vitamins, without as much worry of getting too much potassium, or overloading your digestive system with fiber. 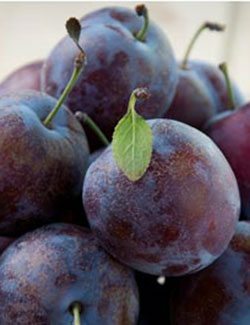 Tips for eating more: Plums taste great all by themselves, but they also work well with other ingredients in recipes like plum pudding, cakes, jams, and more. Cabbage is often touted for its anti-cancer benefits, and will help you meet your fiber needs for the day. But potassium is one department that cabbage is lacking, and you’d have to eat quite a big serving to reach the levels of the high potassium foods out there. 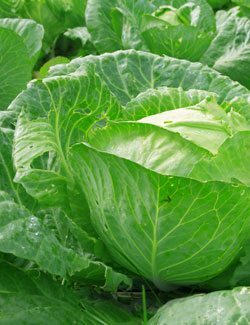 Cabbage is part of the cruciferous vegetable family, and continually makes health news because of its ability to help prevent cancer. You’ll also find this healthy vegetable on several diet programs due to its ability to spur on weight loss. This is partly due to the fiber it contains, as well as the unique makeup of vitamins and minerals. Tips for eating more: One of the most enjoyable ways to eat cabbage is to make a cabbage soup or stew. It’s also the foundation for cole slaw, which is a tasty way to top up the vitamins and fiber that cabbage is known for. Excellent info regarding potassium levels in veggies and fruits exactly what I have been searching for.